A lot of families start making summer vacation plans when they’re all gathered together over the holidays. If your family includes kayakers, plan on coming to Cape Cod. 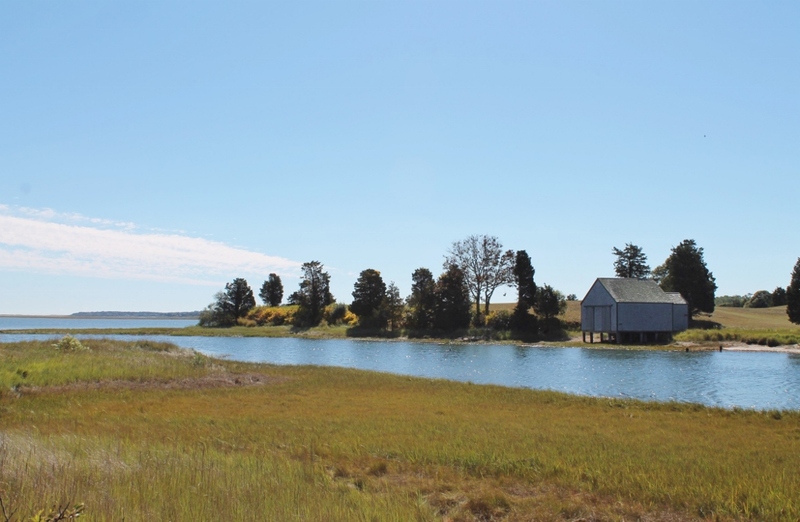 With protected ocean routes on both Vineyard Sound and Cape Cod Bay, and innumerable rivers, marshes and ponds, you could spend an entire summer kayaking here and never run out of new things to see. The Bells Neck Conservation area is a great for both novices and experts to explore. You don’t need to be an expert kayaker, and own your own gear, to enjoy paddling Cape Cod. 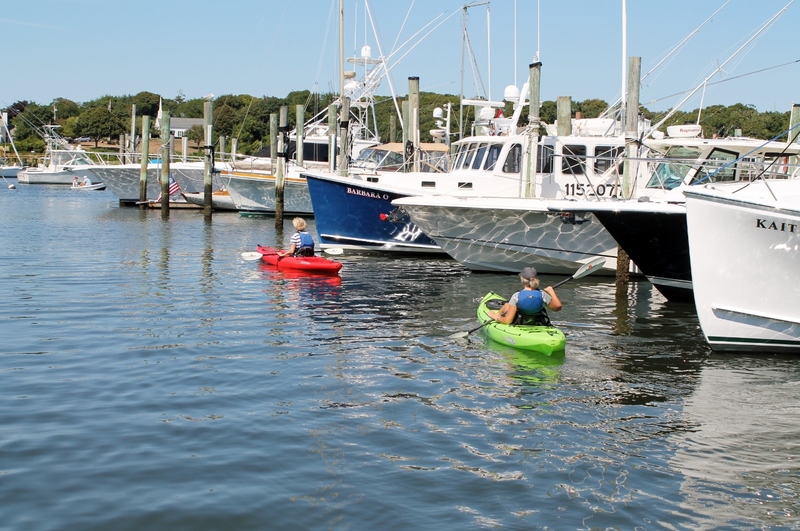 There are several businesses that offer kayak rentals on Cape Cod including Adventure Chatham and Bass River Kayaking, both of which offer equipment delivery. Have them meet you at the public landing on Route 28 in West Harwich, less than three miles from Seadar Inn by the Sea, and spend an afternoon exploring the Herring River and the reservoir in the Bells Neck Conservation Area. With abundant wildlife, and marshes and inlets galore, it offers some of the best kayaking on Cape Cod without any concern for battling ocean waves. Bells Neck is as perfect for an expert kayaker as it is for someone who’s taking their first paddle. Another great idea for newbies is working with Cape Cod kayaking tour companies, which provide not only equipment rentals, but also instruction and insider info on great locations for Cape kayaking. 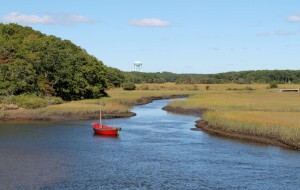 Great Marsh Kayak Tours has a couple of cool options, including the Nauset Marsh Tour which starts out in Eastham, and the Parker River Tour which begins in South Yarmouth. Put in at Salt Pond in Eastham for hours of exploring. Opt to put in right at the inn – well, down at the beach – and choose your own course. If you’re a novice, stick close to the shoreline and paddle east. In less than a mile you’ll be at Wychmere Harbor. 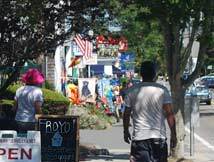 Tool around and check out the gorgeous boats and homes, and Wychmere Harbor Club. Still have some gas left in those arms? Head east out of Wychmere Harbor and explore Saquatucket Harbor too, and then stop for lunch at Brax Landing, which overlooks the harbor. If you’re a more experienced paddler, consider heading further east and spending the day exploring Chatham. It’s about six miles to Stage Harbor and well worth the paddle. You’ll know you’re there when see picture-perfect Stage Harbor Light. Trust us; you can’t miss it. 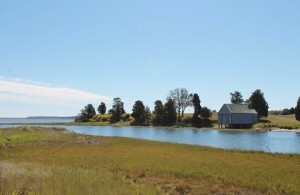 Just after you enter the harbor, beach your kayak on the right and take some time to explore Monomoy National Wildlife Refuge. Still have some steam left in those arms? Then keep on paddling further up into Stage Harbor. Take an easterly courseand you’ll end up in Mill Pond. Take the westerly route and you’ll be in Oyster Pond. There really is no wrong choice; both options will show you hidden parts of Chatham that you can only see from the water. Just remember; you still have to paddle back to Seadar Inn!